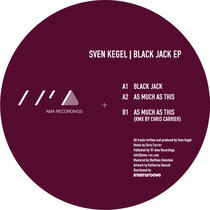 Ray Okpara’s Ama Recordings has released Sven Kegel’s ‘Black Jack’ EP backed with a remix from French House stalwart Chris Carrier. 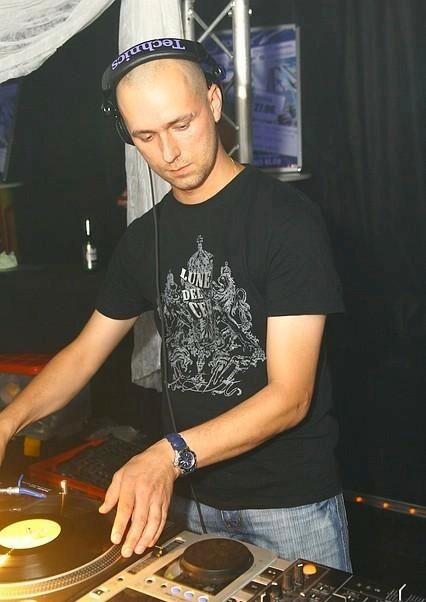 Sven Kegel was born and raised in Germesheim, a small district of South West Germany, on doses of minimal, tech-house and house driven through the country by its neighbouring city Mannheim. The signature sound of the city deeply resonates influence within Kegel’s productions and here Sven joins many of the pioneering artists of the Mannheim sound with Nick Curly, Sascha Dive, Johnny D, Nekes and Ray himself on the roster. The EP opens with ‘Black Jack’, a percussive, groove-led workout built around shuffling percussion with jangling metallic hits, heavily delayed crash cymbals, sporadic snare rolls and a hefty tom-driven bass line. The stripped simplicity and less-is-more approach allows the hooky nature of the track to steadily blossom with subtle additions progressively filtering through. Kegel then layers organic sax licks over the top with intricate delays, adding to the warm natural vibe. Next up is ‘As Much As This’, applying similar drum programming tactics with a raw shuffled groove but this time opting for an esoteric vocal line and smooth house pads to fuel a deeper melodic movement. Highly respected Bass Culture, Off and Robsoul artist Chris Carrier turns in a remix of ‘As Much As This’ to follow, stamping his signature French soul-laden house sound on the original cut. The track captures a ‘90s feel through its crunchy 909 drums, loopy piano hook and acid squeaks and bleeps. Carrier’s outstanding production skills shine through in the remix, with a seemingly ever-evolving envelope on the synthesized elements keeping the dynamic movement flourishing and retracting throughout. To close the release Sven offers up ‘Ce Senoire’ in the form of a ‘Digital Exclusive’, taking things on a deep excavation through soft warbling Rhodes, ethereal pads and heady bass tones. The organic drum sounds lay in the background adding movement while the melodic elements are elegantly delayed and filtered for its just over seven minutes.